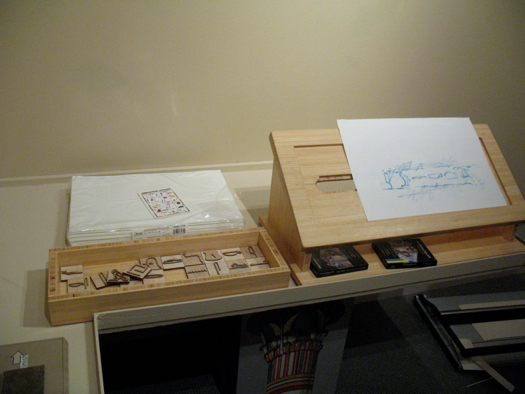 The exhibit in divided into four sections. 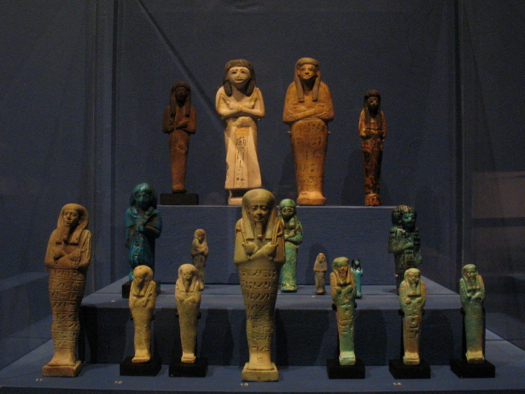 The first is about how the Albany Institute acquired the mummies from the Cairo Museum in 1909. 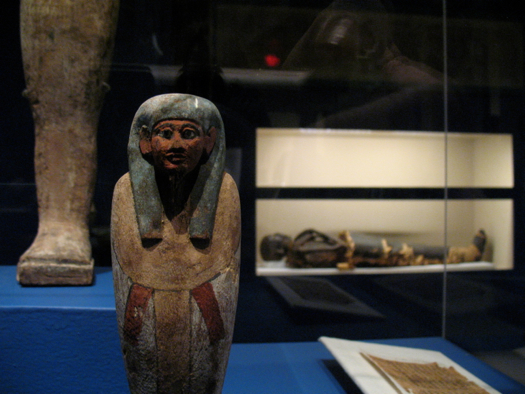 As Albany Institute executive director Tammis Groft explained today, the founders held the idea that if "you wanted to be a real museum, you needed mummies." 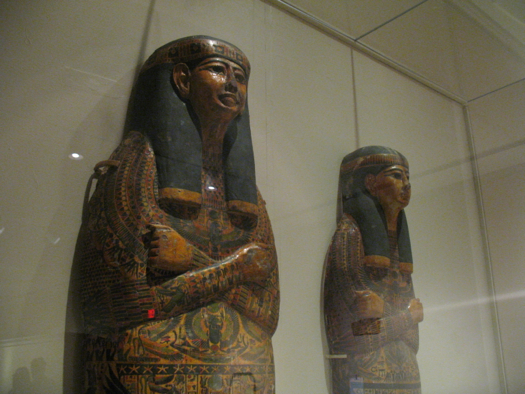 The two mummies have been one of the main attractions at the institute for more than a century. 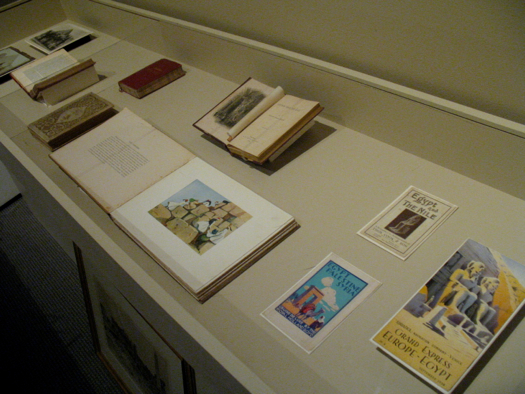 On Thursday many of the items were still be being placed in display cases. And labels still needed to be posted. 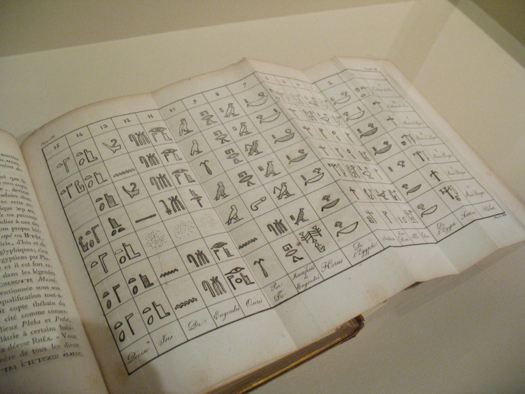 The second section highlights "Egyptomania," when ancient Egyptian history and art were hugely popular in the latter part of the 19th century. 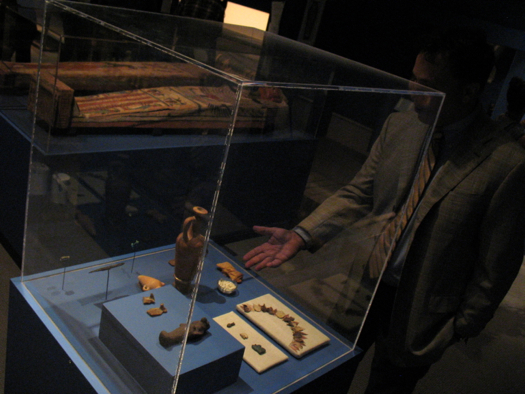 Peter Lacovara, a senior curator of ancient Egyptian, Nubian, and Near Eastern art at Emory University in Atlanta, was one of the driving forces behind this new exhibit. 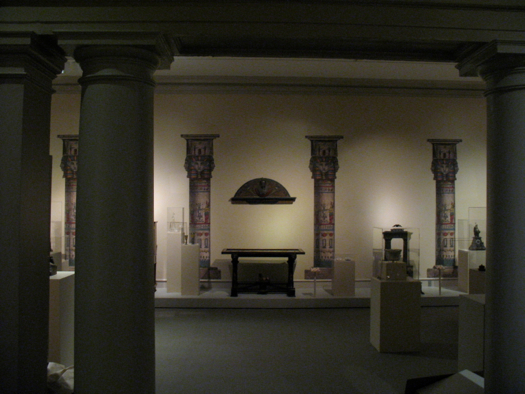 After he moved to Albany he started working with the institute on its collection of Egyptian artifacts. 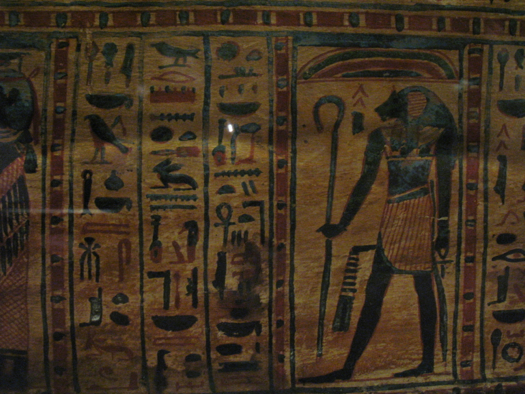 His reaction the first time he saw one of the mummies: "This mummy is in the wrong coffin." 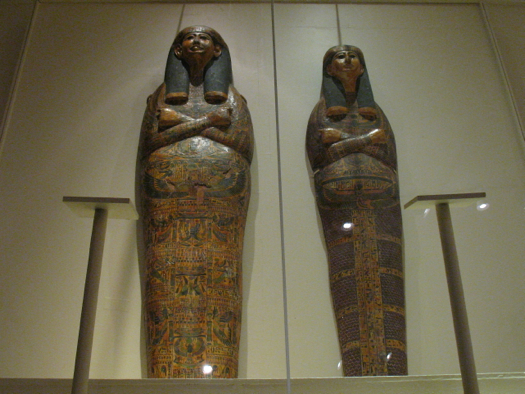 So he suggested maybe it was time to look at them again, which led to the mummies being x-ray'ed at Albany Med last year. 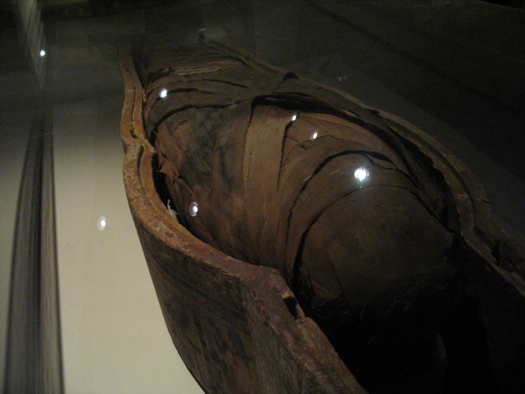 Surprise: One of the mummies thought to be female was actually male. 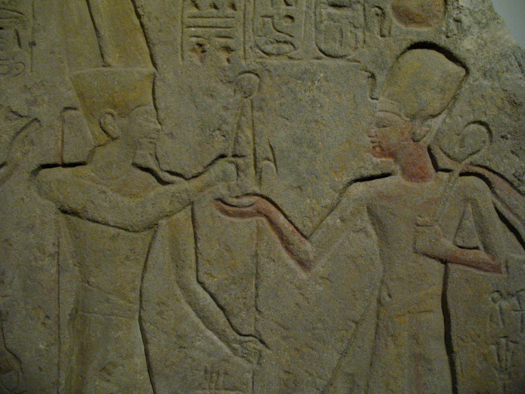 Here Loacovara is telling a story about the goddess depicted by the statue. As the story goes, she wanted to kill a bunch of people -- but two guys were able to get her drunk and fool her with some red dye in the river. 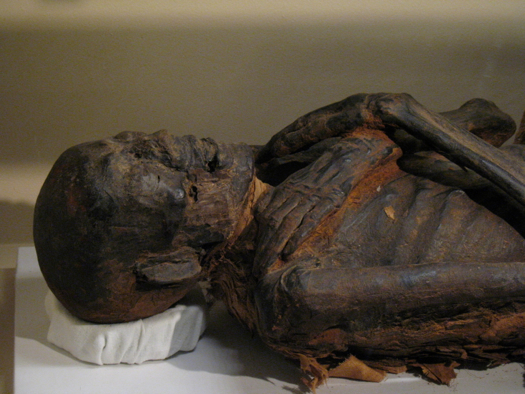 This is Ankhefenmut, the mummy originally thought to be female. 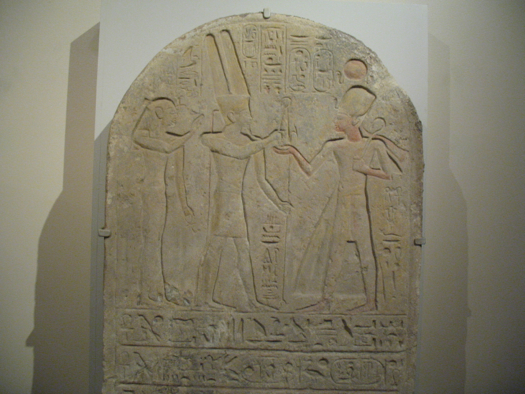 It turned out she was a he -- and a priest and sculptor during his waking life about 3,000 years ago. 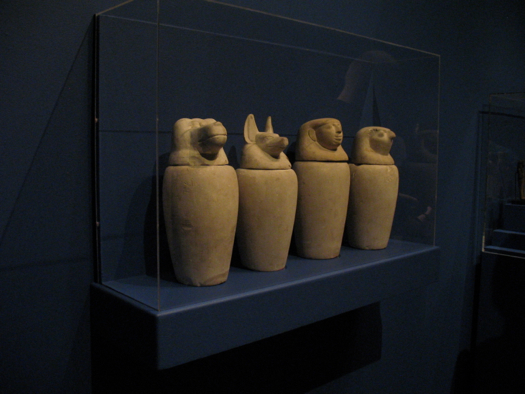 Containers that would have been used to hold the organs taken out of a mummy before preservation. 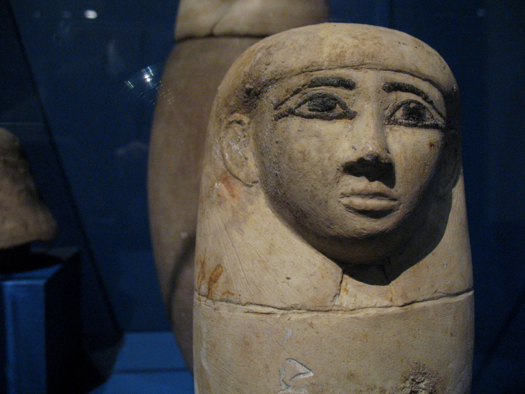 This is the other mummy, who dates to the Ptolemaic Period, about 300 BCE. 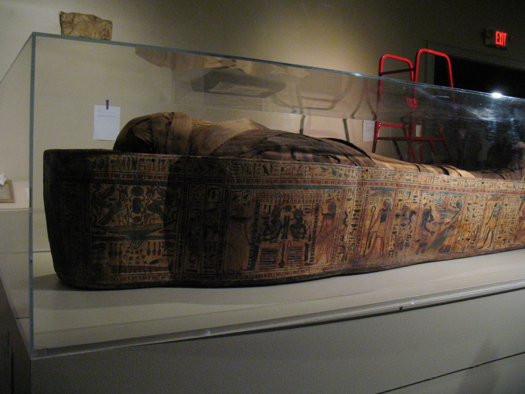 He's partially unwrapped because, as Lacovara explained, Samuel Brown -- who acquired the mummies for the institute -- wanted to make sure he wasn't getting a "squishy" mummy. 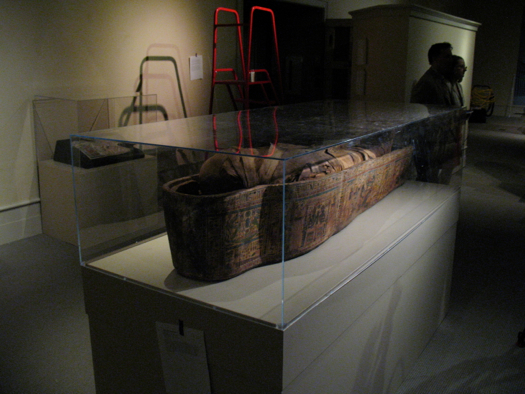 Tammis Groft at an interactive display about the process of preparing a mummy for preservation. Yep, you can take the organs out. 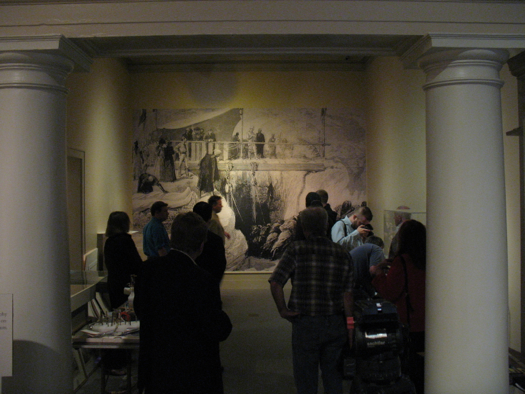 The exhibit opens this Saturday (September 21) at the Albany Institute, and runs through June 8, 2014. 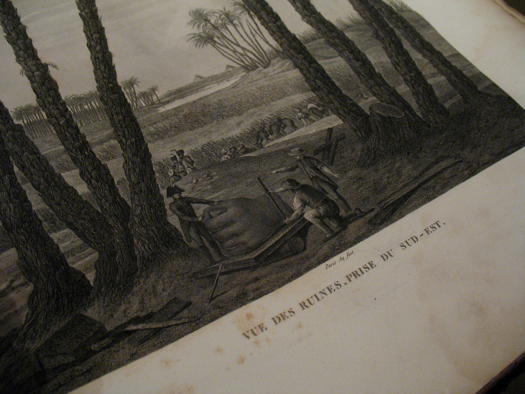 During that time, the institute also has a bunch of talks lined up with speakers from around the world. 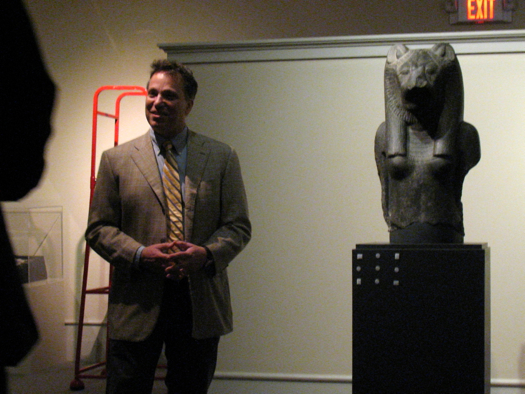 The first one -- with Peter Lacovara, about the "Mystery of the Albany Mummies" -- is this Sunday (September 22) at 2 pm. 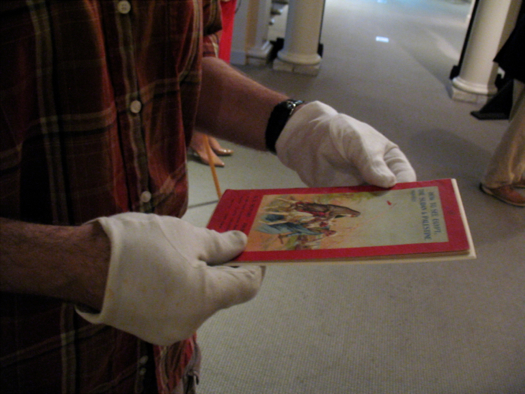 It's free with museum admission. The Albany Institute has advertised on AOA. This is such a good write-up and photoset! 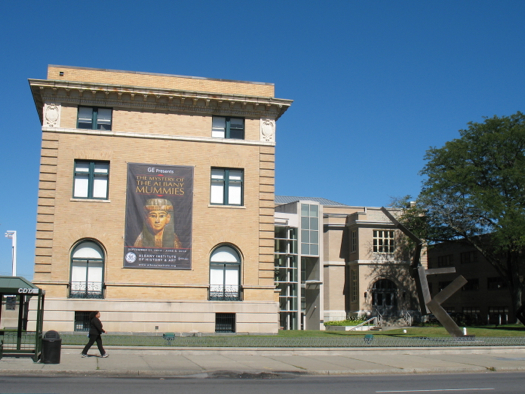 I've always been impressed that Albany has mummies in its museum and the story of how they got here is fascinating. 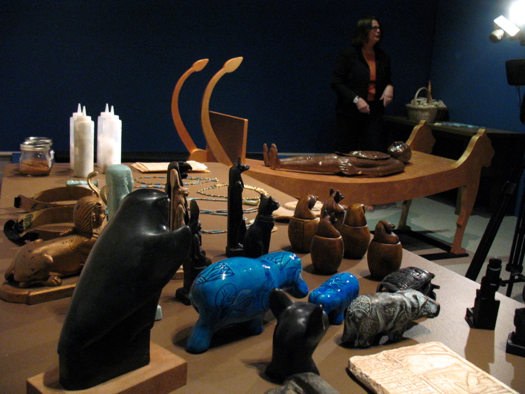 My mother used to work in the shop in this museum when I was a kid (sometimes after closing, while she finished up). And I would spend hours wandering the place alone. The mummies used to be in the basement if I recall correctly. And I used to like to go down there by myself and get all creeped out. 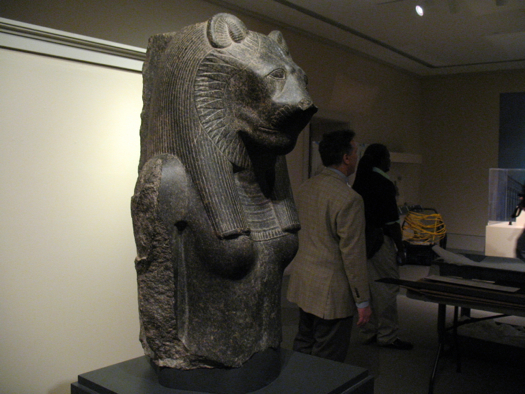 Crying Wolf has not been on display for many years. But I'm pretty sure there's a postcard of him in the gift shop. I hope they bring that statue out of the collections again at some point. Also, if anyone knows, please correct any of my hazy recollections. It's been a while. @Duncan, Thank you so much for mentioning Crying Wolf! That statue both intrigued and scared me when I was little. I'd love to see him back on display! I used to have one of those postcards, too, but it's long lost. 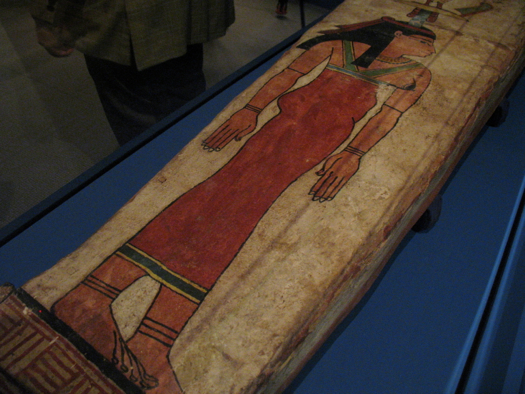 Once when I was about seven, I had just walked out of the mummy room in the basement. I was trying not to look over at Crying Wolf because of those creepy eyes. All of a sudden, there was this absolutely horrific wailing/shrieking/moaning sound that filled the entire basement. 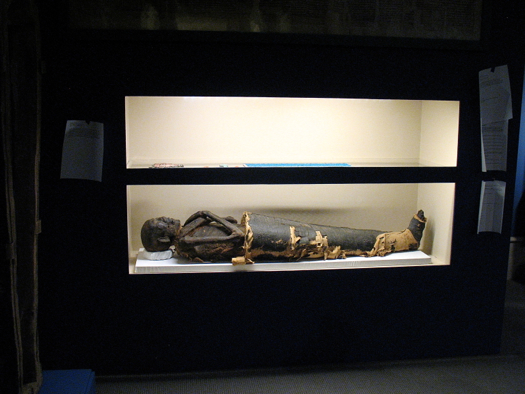 It seemed to fill the entire basement, echoing out of every corner and the mummy room. And it seemed to come right from Crying Wolf. It turned out it was an old steamboat whistle that was on display in the room at the bottom of the stairs. 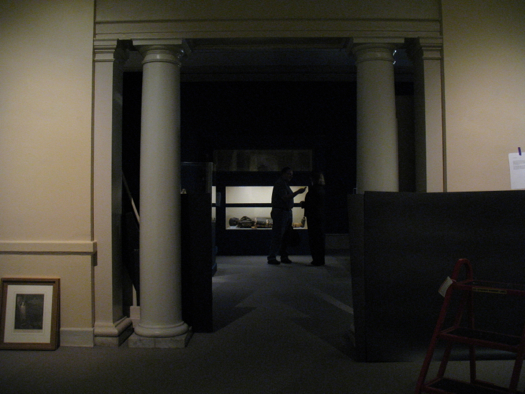 A museum employee was showing a small group of visitors around and, somehow, the whistle went off and the sound was pretty dramatic in that enclosed space. 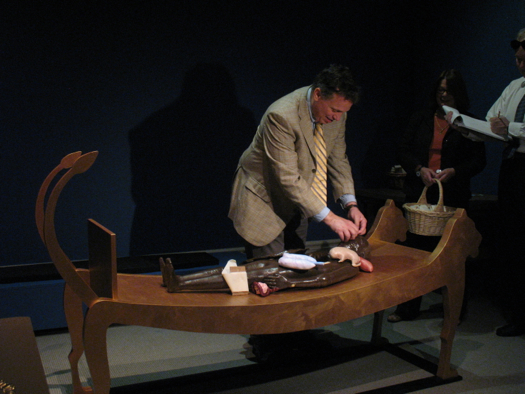 Even though I knew exactly what caused it, it was still such a terrifying sound that I refused to set foot in the museum for a few years. And, when I did go back, I wouldn't go downstairs at at all for at least another two or three years. I wouldn't even look in the direction of the stairs because I remembered that wailing sound and Crying Wolf. 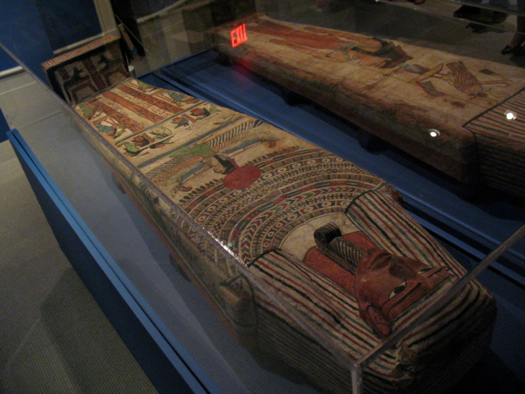 Needless to say, I'm excited about the new mummy exhibit!